This historically and culturally significant building in Ottawa was designed by Canadian engineer and architect Ernest Cormier. 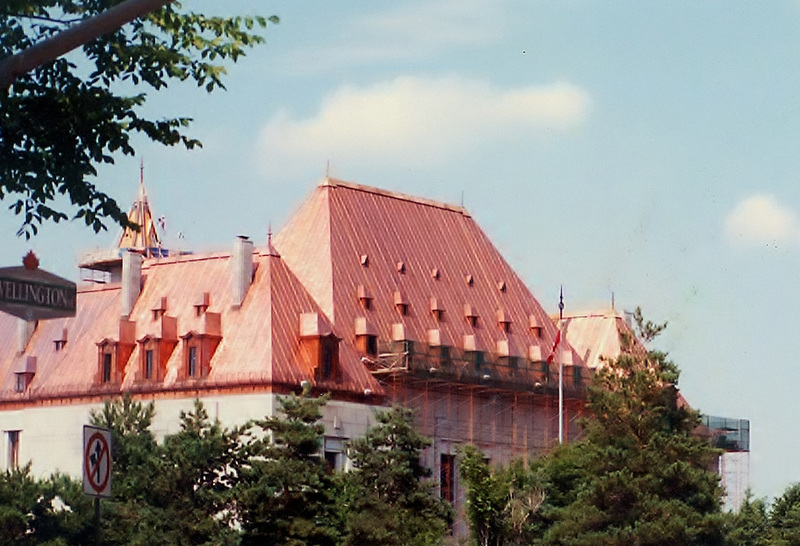 Construction of the Supreme Court of Canada building began in 1939, with its first cornerstone laid by Queen Elizabeth I. By 1946, the court began hearing cases in this beautiful building adorned with Art Deco details, grand marble floors and a Chateau Style copper roof. 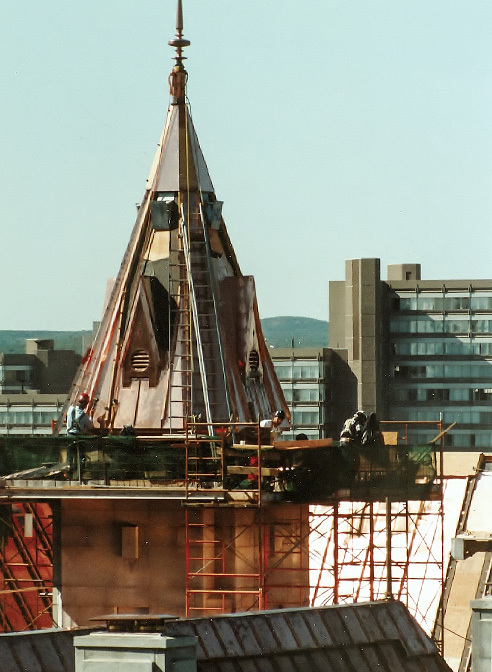 As part of a large building restoration project, replacement was required on the original copper roof in order to restore it to like-new condition. Heather & Little was pleased to work on this important project for PCL Construction of Canada. Our work on the highest court in Canada was completed in partnership with PCL Construction. This project involved the complete removal of the existing roof before a new vapour barrier, insulation, roof decking and copper batten seam roofing system could be installed. Heather & Little had a workforce of 56 employees working on this building restoration project which ran over a period of two years. 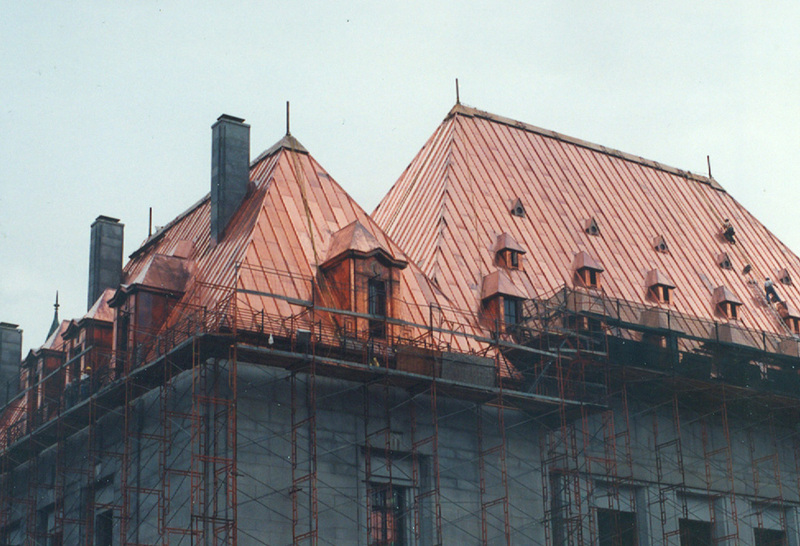 The entire copper roof restored, including the copper roofing of the inner courtyard, and all copper elements such as finials, dormers and inlaid copper gutters with heat tracing were fabricated and installed using 20-ounce sheet copper. 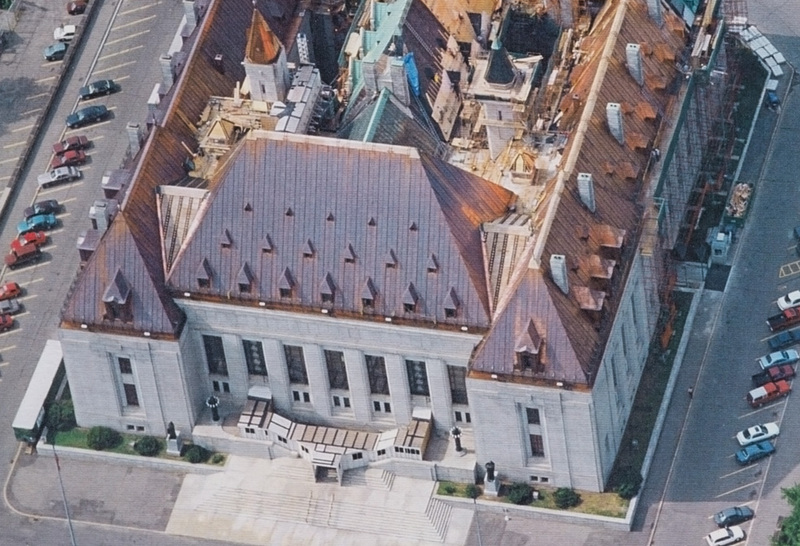 To learn more about our building restoration work on the Supreme Court of Canada, browse the images below, or reach out to Heather & Little today.